The beginning of Spring in the south can prove to be a tricky weather situation. For example, this morning we woke up and it was 50 degrees outside but by 4 pm we were in the 70's. What's a mommy to do when dressing her little one? 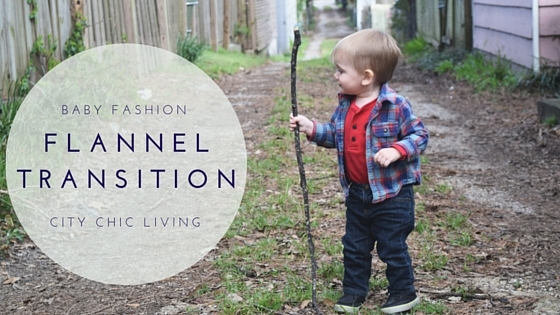 Since feminine flannel prints are in this season, this baby fashion trend can go for boys and girls.